Get the ultimate in convenience and performance with this commercial quality upright. The unit features a triple filter bag system so dirt and dust remain in the bag for cleaner air. 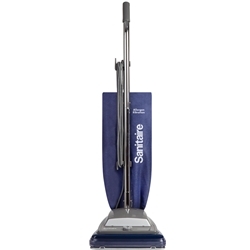 The S645 is the professional House Keeper's choice year after year. Dust Capacity 11 dry qts. MSRP $349.99 but you get to pay less. I like it. Strong, durable and cleans well. Could have given a 5 star but the bags cost more than I like. Can't really complain about that though either.